Something that many of the younger generation might not realise but Weymouth has a long and fascinating history with the army and navy. Even during my own lifetime I can recall a certain ‘liveliness’ when hundreds of sailors would take their shore leave, hoards of men streaming along the esplanade heading for town, all eager to make the most of their free time in one way or another. At the time I worked for Next which had a mens wear department upstairs, come Saturday afternoon it would be absolutely heaving, Jolly Jack Tar having come on shore would be booting and suiting themselves ready for the weekends revelries. 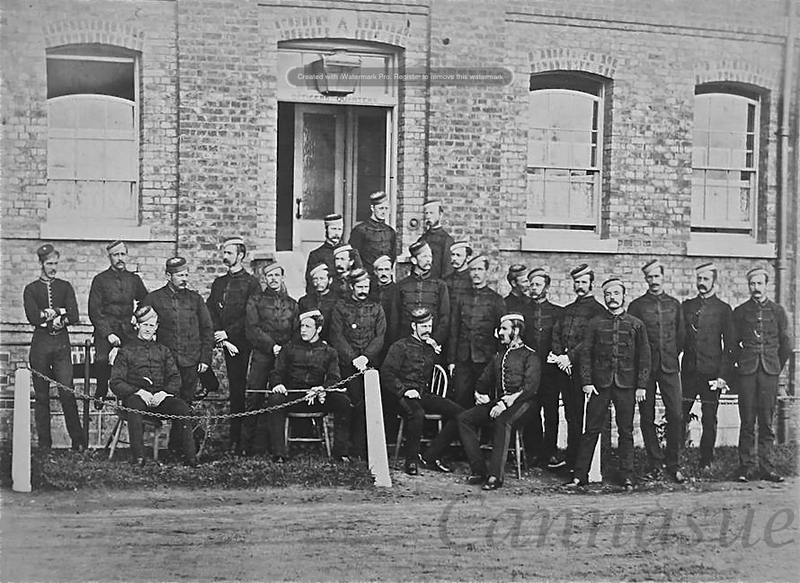 During the Victorian era a constant military presence was kept in the town, the serving soldiers and their families were billeted up at the Red Barracks or later, in the newly built Nothe fort itself. Down below the lofty Nothe headland sits Portland Roads (or harbour,) which was the base for many a visiting naval vessel, their crew coming ashore in their hundreds to enjoy the great delights of the traditional seaside resort and no doubt the pretty females within. That was life in Victorian Weymouth, a bustling scene with residents, visitors, soldiers and sailors rubbing along together. Of course, in a town where servicemen were present in great numbers, it was certainly never going to be dull. Despite the growing Temperance movement, the tales of their liking for a drop or two of grog, the joy of a female hanging on their arm, or the need to fight one and all filled the columns of the local papers. These visiting protectors of our sea and shore caused mixed feelings in the local population, it was they who had to witness their constant arrivals and departures by sea or rail, they who sometimes had to endure their anti-social antics while the men were stationed here. For a few unlucky residents, even the military barracks themselves were capable of reeking havoc in their lives. Or maybe that was just a bit of sensational, far-fetched reporting by a very bored reporter with a vivid imagination? No mention was made at all of the gunpowder store room having blowing up! “The Engineers did more than just drinking and womanizing, they were frequently called upon for one reason or another to assist the locals whenever trouble arose in the area. At the end of March they were summonsed into action. A major fire had broken out on the outskirts of Weymouth, in a hamlet of houses bordering the old steep Ridgeway road that once run straight up over the Ridgeway. It started in the thatched cottage of old Mr and Mrs Humphries. As was usual, that morning the dutiful housewife had lit a fire under the old boiler in the outhouse, ready to do her weekly washing, but unbeknown to her the flue from the boiler was defective. A stray spark ignited a fire in their roof thatch, which smoldered unseen for a while, but then swiftly took hold. Before long their whole roof was well and truly ablaze. Unfortunately, the weather that day happened to be extremely blustery and fanned by the strong winds the fire spread rapidly up through the row of cottages, sparks and flames leaping from one thatched roof to another. 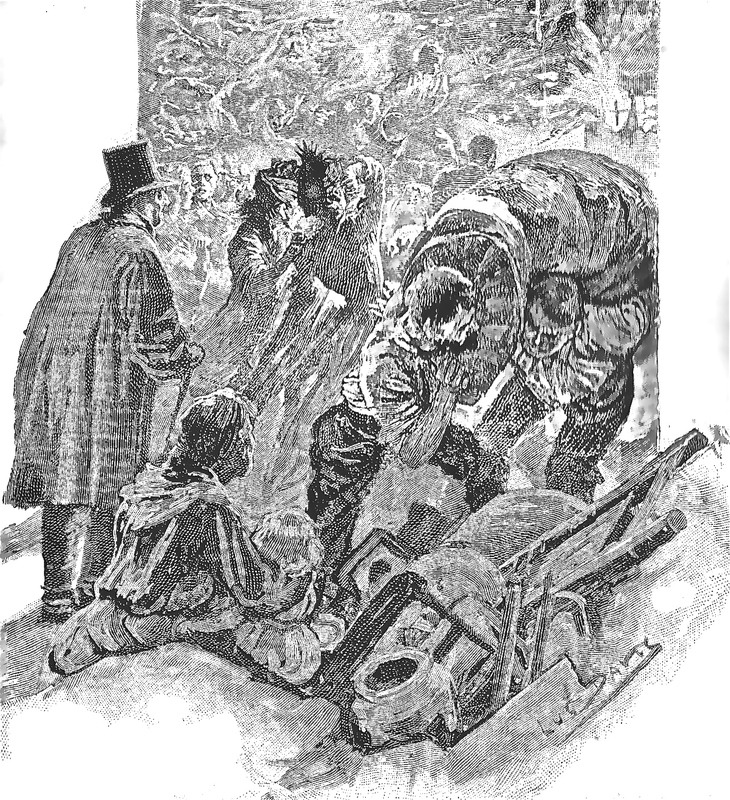 Once news of the disaster reached the Nothe, a detachment of sappers under the command of Captain Smith were rushed to the scene with their fire engine and hoses to help. By now people had arrived from all over the district, everyone frantically trying to quell the raging inferno that was sweeping its way up through the little hamlet, destroying everything in its path. Lack of nearby water was a huge problem, so a human chain was formed down to the Royal Inn on the main road , buckets of water were passed up the hill from hand to hand. One thatched cottage after another fell victim to the inferno. The villagers, soldiers and helpers were pulling together, doing what they could, dashing into the smoldering and smoking dwellings to pull out any personal possessions and furnishings they could before they burst into flames. After hours of hot and dangerous toil the raging fires were finally brought under control, but very little was left of the hamlet bar what remained of the smoldering cob walls and a few charred beams. Unfortunately the tinder dry state of the old thatched dwellings, the fickle fate of nature providing a strong wind that day, and a lack of water nearby had defeated everyone. Even the local pub, the Ship Inn run by James Bushrod, didn’t manage to escape the full fury of the fire. That too had gone up in a blaze of glory. Despite the fact the Engineers, resplendent in their fireman uniforms and armed with the latest fire pump, had arrived fairly promptly, there was very little they could do. By the end of that disastrous day 11 of the cottages in the hamlet were totally destroyed, despite the valiant efforts of everyone. In February of 1876, one military departure from Weymouth left more than just the obligatory broken hearted females stood wailing on the quayside waving their sodden lace hankies as their beau’s sailed off into the sunset, a terrible tragedy struck on board as the packed troopship sailed out of the harbour heading for postings anew. Rather surprisingly, life in tranquil Weymouth also contained many hidden dangers for the resident Tommy Atkins or Jack Tar, from accidental drownings to theft by nimble fingered ladies of the night, many tales of which are covered in my book about life for the soldiers and their families on the Nothe. 1891 saw Weymouth and its unsuspecting residents come under a fierce attack, when a simple fight that had started out in town between a few locals and a group of drunken solders turned into full blown, running amock, sabre swishing, blood-curdling charge that no amount of bugle blowing could bring under control. 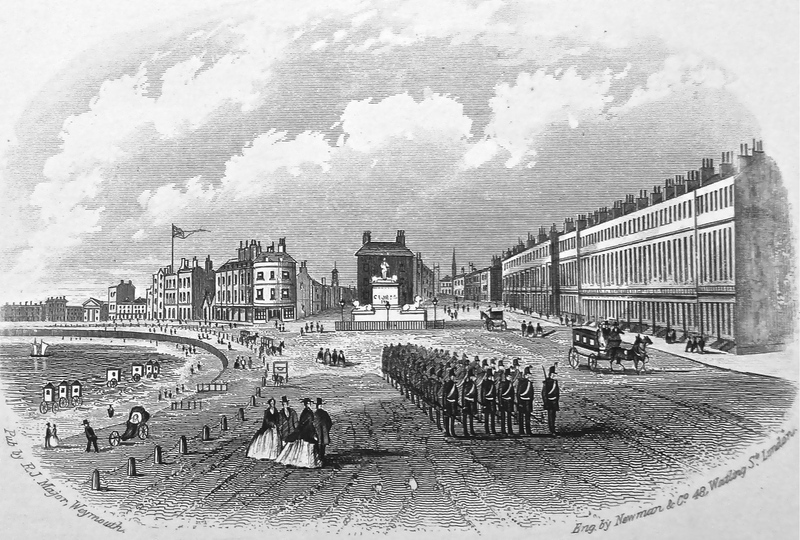 However, it wasn’t all doom and gloom, the military and naval bands were frequently called into action to play in the New (Alexander) gardens and out on the Pleasure pier, where residents and visitors alike would would sit back and enjoy the rousing tunes or dance to the harmonious melodies. 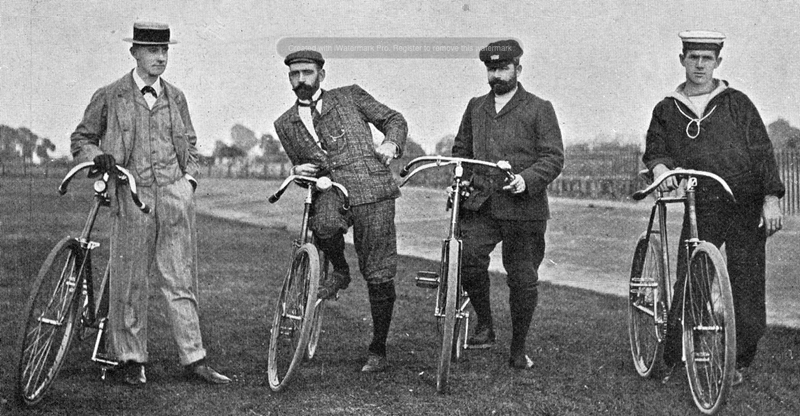 Those serving men who were destined to spend longer based in the town frequently took part in many of the local activities, societies and clubs, such as the popular Weymouth Bicycle Club or the local Rowing Club. Life in Weymouth certainly wasn’t dull for my ancestors! 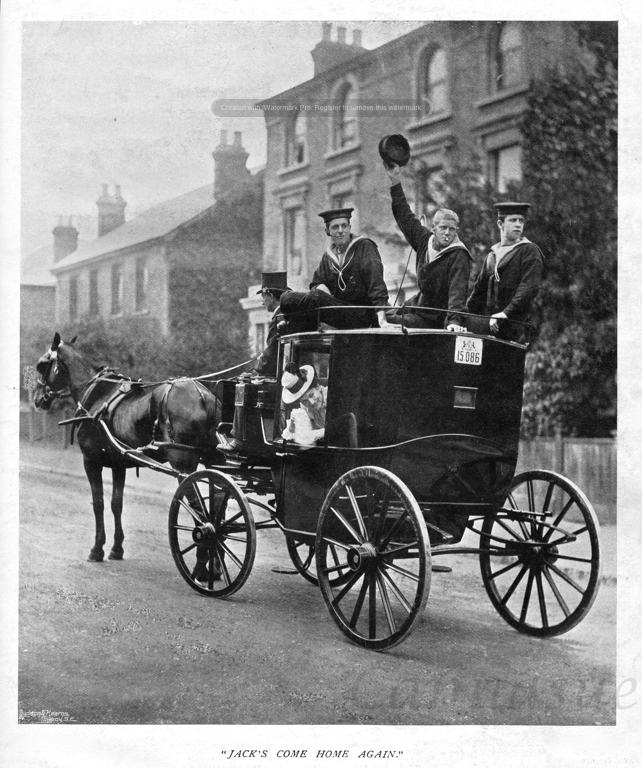 A website full of interesting old photographs of Weymouth and the surrounding area, many showing soldiers and sailors taking part in Weymouth life. 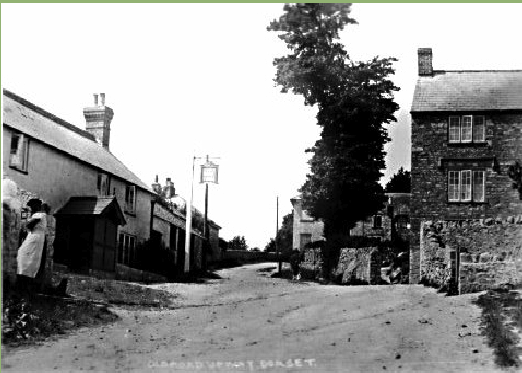 Previous Post The Siege of Melcombe. Reblogged this on NOTHE FORT AND BEYOND….